Skyrim VR: Dragons have returned to Tamriel, and this time they’re even more magnificent. 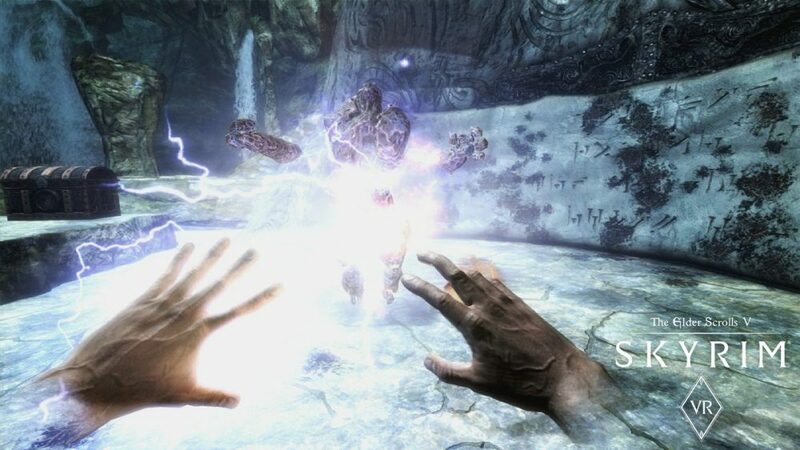 The ancient creatures who soared through the skies in The Elder Scrolls V: Skyrim will soon come to full life in virtual reality. Developed by Bethesda Game Studios, Skyrim VR takes the full game (plus all of the official add-ons: Dawnguard, Hearthfire and Dragonborn) and reimagines the complete epic fantasy with an unparalleled sense of scale, depth and immersion. Skyrim VR puts you in the role of the Dragonborn – the prophesied hero who can harness the power of dragons. From battling ancient dragons to exploring rugged mountains and more, Skyrim VR brings to life a complete open world for you to explore any way you choose. Skyrim VR is released in November.